Kord contacted me to do surprise Waterton winter anniversary photos for himself and his girlfriend Jenny on their third anniversary. What a fun gift idea! Jenny was so happy with this perfect gift that she had a lot of trouble putting away her smile. Whenever I’d ask her to be serious for a photo, she would try then exclaim, “I can’t, I’m having too much fun!” (Good thing I’m fast… I got a few serious ones in there!). This was a rare year that Waterton hasn’t yet experienced its snowpocalypse. We were very flexible in where we could do photos and even had trouble finding snow in a few places! The usual Waterton wind made things a little difficult on the cliffs and shoreline (as in I could barely stand up). On the plus side, we missed the hurricane force winds a few days later and the ridiculousness of the wind made Kord and Jenny laugh even harder as they tried to casually pose in it! 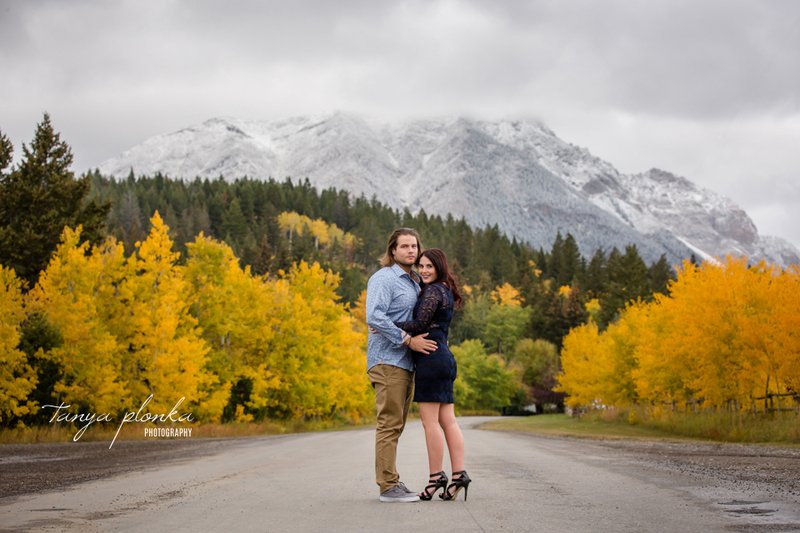 They are such a cute couple and I had a blast exploring Waterton with them. I wish them many more anniversaries! 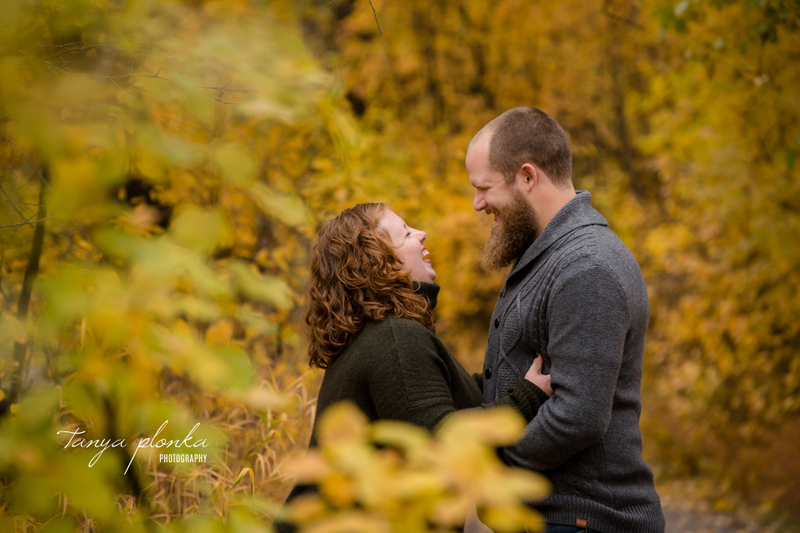 Jordanna and Deiter managed to sneak in vibrant Lethbridge autumn engagement photos before the snow arrived! We used lots of snuggling and hand holding to get them through the crisp cold that day. I think they did a great acting job making it look like a warm autumn evening. It definitely helps that they are so cute when they cuddle each other! I had a great time exploring the Helen Schuler Nature Reserve with this upbeat couple and can’t wait for their wedding in a few months. I was so excited to hear from Ami-Marie when she got engaged to Devin. 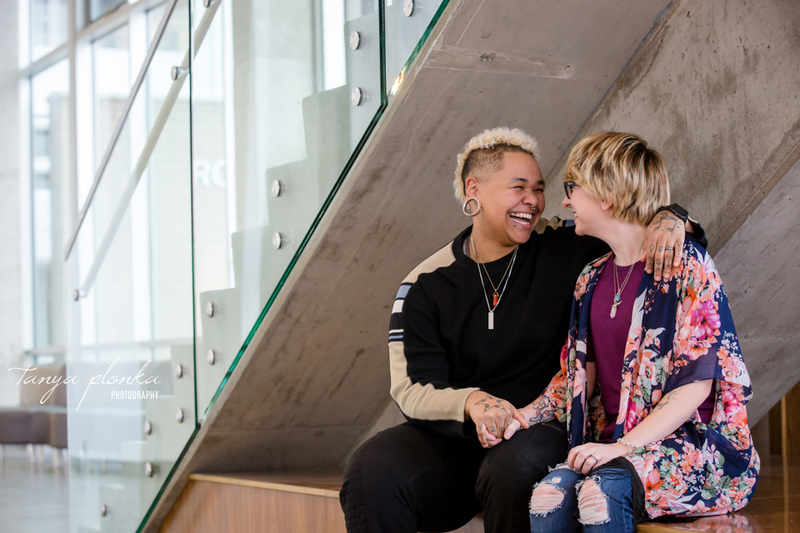 I’ve photographed her friends and family, and now I get to photograph her in love! Her and Devin love the fall (it’s when they are having their wedding too) and decided on Indian Battle Park autumn engagement photos while all of the amazing colours were out. 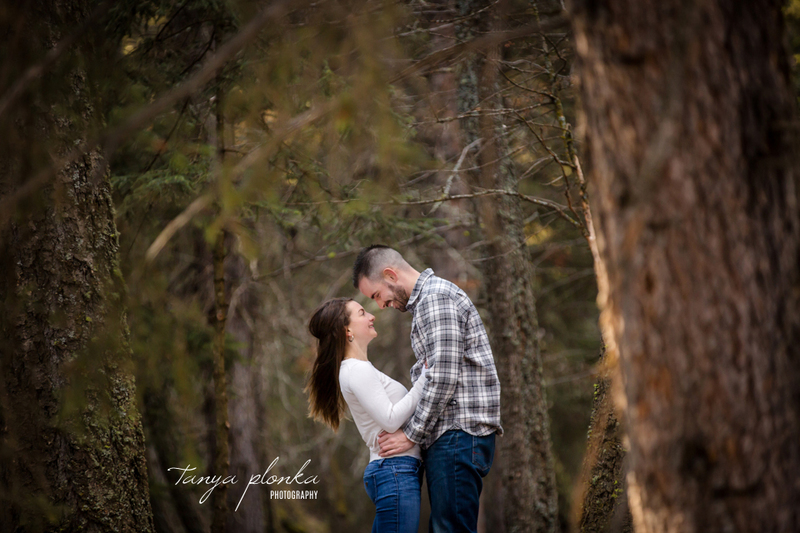 We explored the Helen Schuler Nature Reserve for the first part of their session and then visited downtown Lethbridge, which was just as vibrant. Ami-Marie and Devin are so cute together, full of snuggling and laughter. 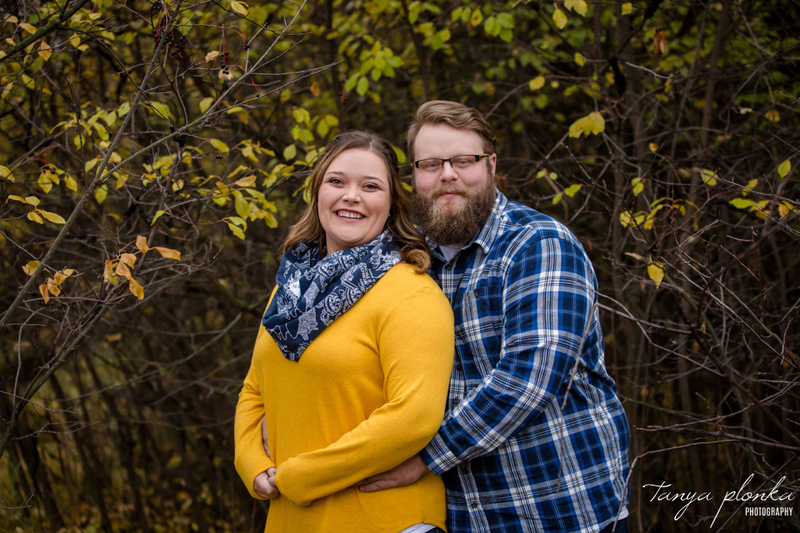 I’ve been told that Devin will need to lose his beard soon for work, so I’m glad we were able to capture its glory in this engagement session!